Helmets are meant for safety as well as fashion. In today’s market, there are just so many to choose from. There are hundreds and thousands of companies each claiming that they have the best ones. It’s actually a lot harder than it should be to choose a helmet. However, among hundreds of helmet companies, Bell has certainly made a mark with its wide range of helmet selections. 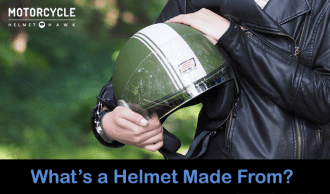 From street helmets to off-road and cruise helmets, you name it, they have got it all. 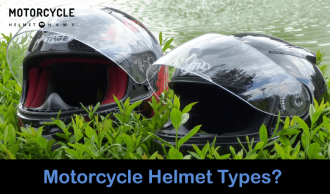 There is a wide collection to choose from, whether you want a full-helmet, half helmet or an open faced helmet. 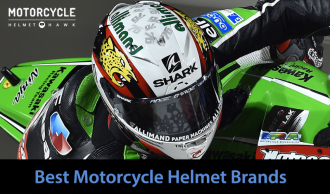 If narrowing your helmet search to just one company is still tough for you, here, we have got a list of some of the best helmets from Bell. These helmets are well justified for their price tag. 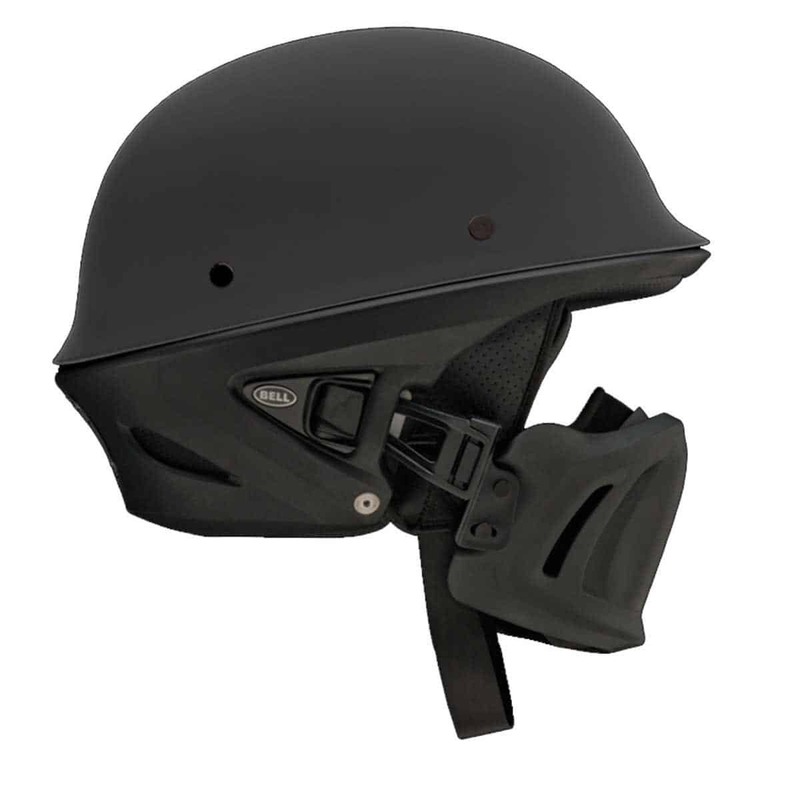 The Rogue helmet from Bell is a half helmet which has been constructed with lightweight composite shell. 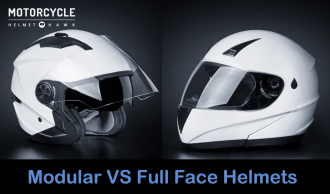 Unlike most half-helmets, it features an innovative muzzle which is both strong and durable. It will be perfect as a built-in mask but keep in mind that it’s still just a half helmet. The muzzle is easy to take on and off while riding. The interior liner of the helmet is comfortable and it can be removed and washed to maintain its freshness. The convenient pockets are its plus points to store speakers and headset. It comes with a five year warranty and the premium stainless steel D-rings and metal badges make it even stronger. It is available in 7 different sizes and 9 different colors. The fact that it’s a half-helmet makes it easy to wear and breathe-in while riding. 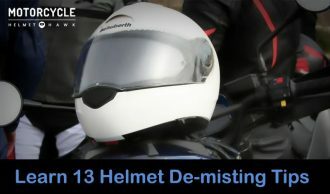 The muzzle attached to it is durable and strong and will protect you from dust, smoke and anything else that should fly towards you while riding. The wide range of sizes and colors allow riders to make their choice based on their size and preferences. It has been certified with DOT and comes with a five year warranty by the company. Being a half-helmet, the security of the rider is questionable in case of collision. Although, no helmets are accident proof. It’s great for summer riding but it will not be suitable in case of rain or any other harsh weather conditions. It’s a complete product among half-helmets. The interior liner is remarkably comfortable and can be washed. The convenient side pockets add to the long list of pros. Also, you will look incredible with that muzzle. The price is well within the reasonable range. Its only drawback is that it’s not a full helmet. Then again, you can simply opt to buy a full helmet instead. Bell has a long list of amazing products and the Rogue helmet is definitely among the best, especially with the features for that price. However, half-helmets may not be for everyone. 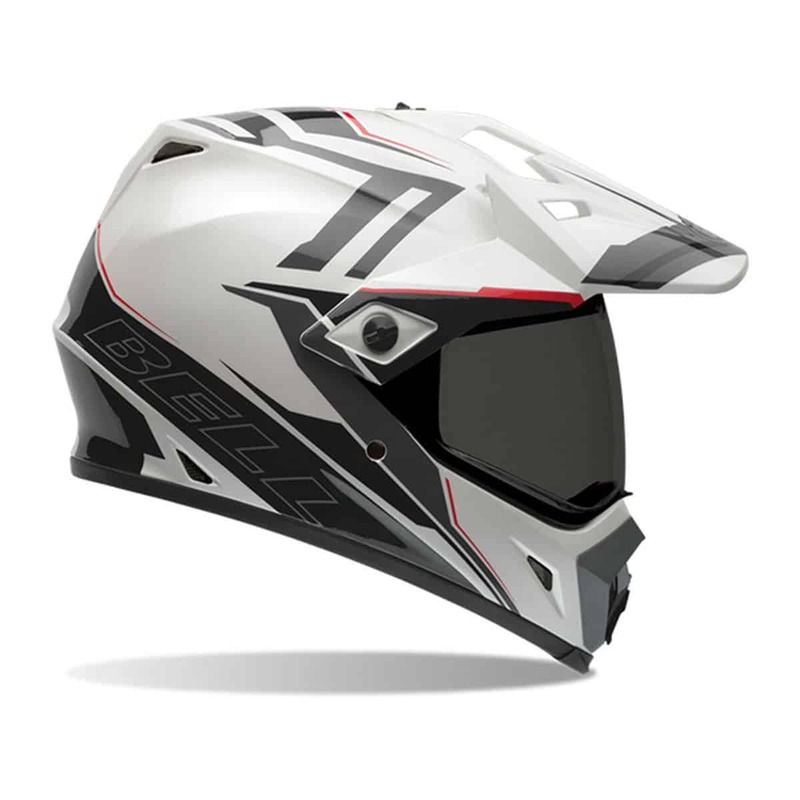 Bell Vortex Flying Tiger Helmet and Bell MX-9 Adventure Barricade Helmet are other top helmets from Bell. Both these helmets are full and come with an individual style. 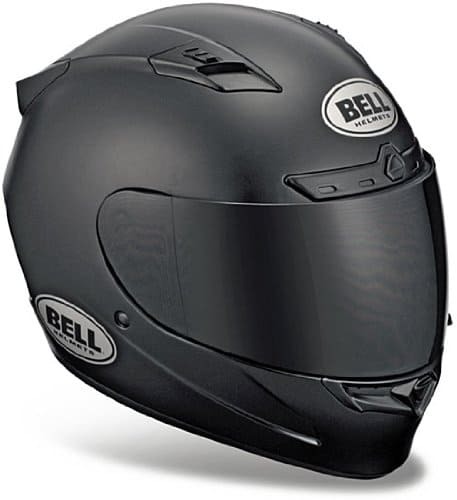 This full helmet from Bell has been constructed with poly carbonate shell. Cut into the wind-cutting shape, Bell Vortex uses velocity flow ventilation with Flow Adjust for any-time ventilation and temperature control. The comfort of the helmet is also remarkable with its contoured cheek pads and a removable comfort liner. You will barely hear any noise while riding. Also, it features speaker pockets. 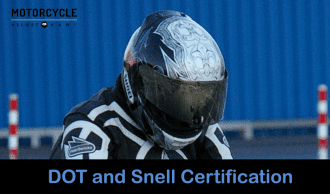 It has been certified with SNELL and DOT standards and comes with a standard Bell five-year warranty. It is available in 12 different colors and will work fine for both men and women. 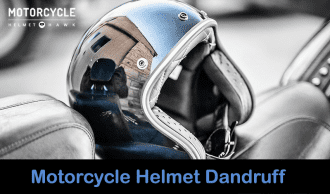 The shell of the helmet is remarkably strong and it also features a padded chin strap with D-ring closure and strap keeper for better safety. It features anti-fog shield which is UV protected and scratch-proof. The padded interior is highly comfortable and it is also removable and washable. Make sure to get the size right as there have been many complaints about the size not being as described. It’s a unisex helmet suitable for both men and women so choose the color accordingly to avoid looking out of place. The helmet looks great and is really comfortable. It’s got too many features for the price and cannot be complained about. The air ventilation is amazing and the size and color options make it preferable for everyone. This one’s a bargain if you are looking for full-sized helmets. Make sure to know your proper size before you place an order though. This is an adventure style helmet designed to be lightweight. The poly carbonate shell is strong and durable. 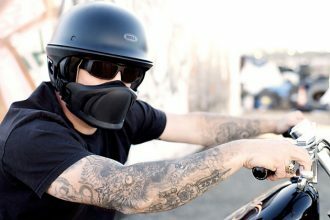 The face shield is anti-scratch and the velocity flow ventilation system makes sure that you are cool and comfortable. The interior liner is removable and washable. It also features adjustable mouth vent and padded chin strap along with D-ring closure and strap keeper to make sure that helmet stays on. It has been DOT certified and comes with a five-year warranty. It comes in a 3 different shell and EPS sizes for personalized fit. There are in total six different sizes for you to choose from. It will cost you $199.95 from Amazon. This adventure style helmet is suitable for both street riding and off-road riding. The design and comfort goes to hand to hand and are superb on both ends. The ventilation system provides maximum air-flow to keep the rider’s head cool. The aerodynamic visor and flip shield will protect your face well. The only drawback with full-helmets is that riders have to turn their whole head even just to look sideways. It’s got no integrated pockets for speakers or headsets. Whether you plan to ride on streets or off-road, this helmet will handle it well. It will stay strapped in, considering that you are wearing the right size, regardless of the high-speed. It’s a 2-in-1 product that is remarkably comfortable contrary to its looks and features a great design. 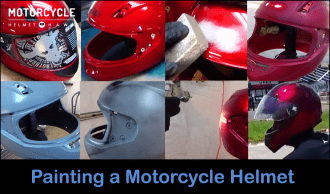 It’s a great buy for someone looking for cutting edge designed full helmets. 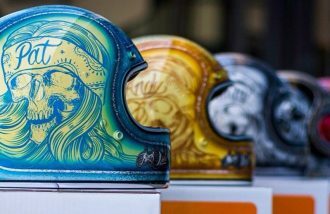 It’s a lot harder to choose from one of these helmets as all three of them are Bell products and are constructed with almost similar processes. The difference lies in the design and the price. It all depends upon what you want in a helmet. 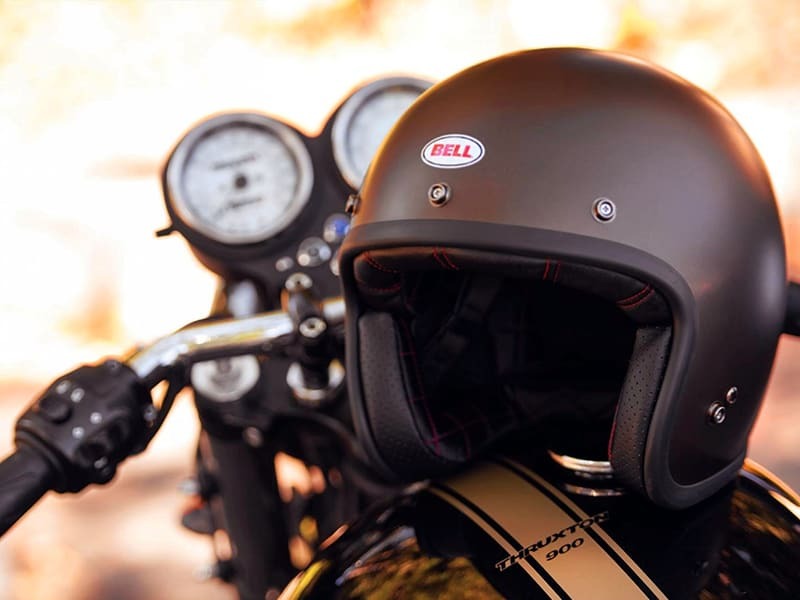 Weighing in all the pros and cons, go for the Bell Rogue Helmet. Granted, it’s a half helmet and safety might be slightly compromised but let’s face it no helmets are accident proof anyway. It’s made with durable material and looks amazing. The muzzle just adds to that badass look. You will definitely make an impression with this helmet. 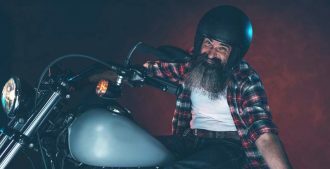 Additionally, the integrated speaker pockets will allow you to simultaneously connect with other riders via Intercom or connect it with your cell phone. However, if the only turn-off for you is that it’s a half helmet, by all means go for the either one of the others. Both are equally amazing. You can decide on your riding style to narrow your choice. If you are strictly on the streets while riding, go for the Bell Vortex Tiger and if you are occasionally or most of the time riding off-road, Bell MX-9 Adventure Barricade would be a better buy for you.